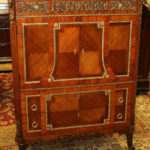 This is one of the finest of all of the tall chests we have ever had. 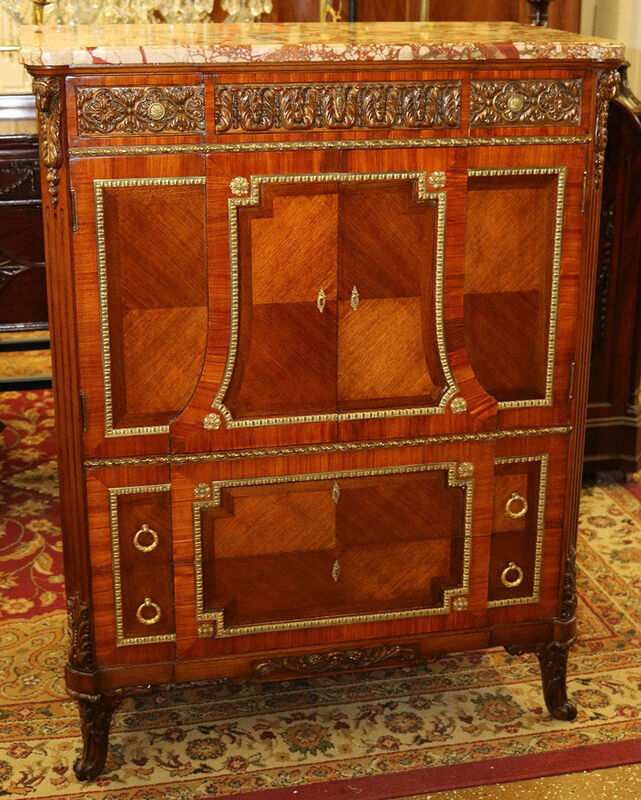 This French-made dresser features incredible carvings of flowers and rams head terminals. The carvings are gilded and have that gorgeous time-worn appearance so it’s not too bright or gaudy. The case is replete with beautiful bronze ormolu and a gorgeous marble top in excellent undamaged condition. 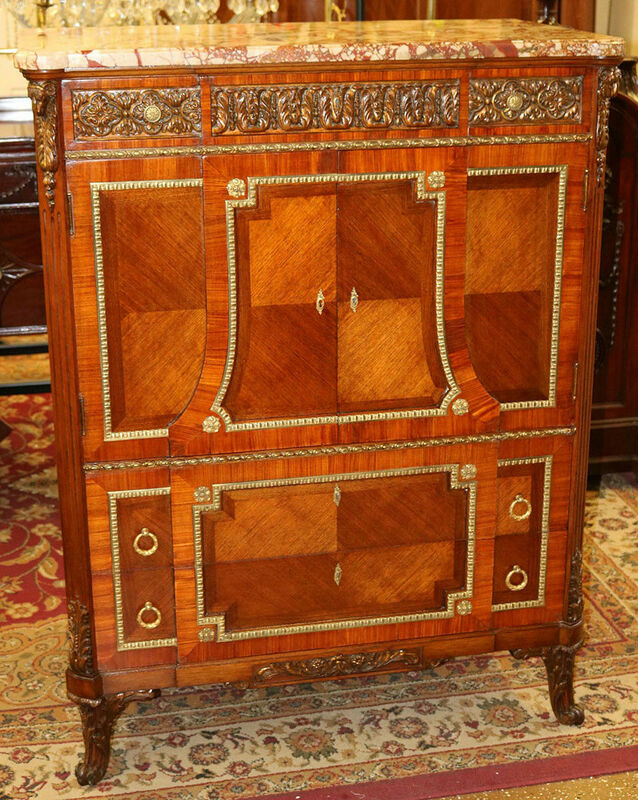 We have a matching pair of lingerie chests and a matching low commode as well. They don’t get better than this. This is a dream come true for someone out there! 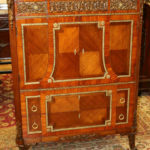 The case is satinwood and the piece dates to the 1890’s. Dave 215 749 2104 for questions about the piece or delivery costs.